At City Tailors we provide a luxury bespoke tailoring service across Bath, Bristol and the South West that we are confident you won’t find anywhere else. We only use the world’s finest cloths and are workmanship is the best you will find. 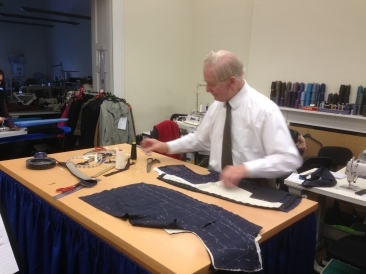 We can tailor anything from bespoke 2/3 piece suits, tuxedos, overcoats, shirts and trousers to the highest standard. Our unique service offers the client the opportunity to create the garment they want to the specifications they desire. Every garment is created to its own individual pattern and we offer a one to one service with our clients to sit down and discuss exactly what it is that you want down to the smallest of details. From the cloth to the positioning of the pockets or shape of the lapel the customer has the final say ensuring that the finished products is 100% to your satisfaction. At City Tailors there is a big distinction between good and perfect and we always strive for perfection. Our business is built on our excellent reputation for quality and service. 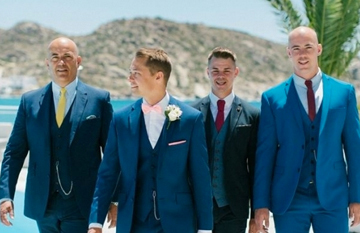 If you want a hand crafted, individual, bespoke designed suit that is finished to the finest standard and finish then you need a suit from City Tailors. We are confident that you won’t find anywhere that beats the hard work, attention to detail and meticulousness of our Master Tailors. Businessmen, celebrities and entrepreneurs are amongst some of our valued clients that come back to us time and time again for our unbeatable service. Across Bath, Bristol and the South West our service is the finest you will find. Our bespoke suits are constructed in a traditional full-floating canvas unlike made to measure suits which use a combination of construction. Each and every tailor made suit is crafted from a unique pattern and hand-finished with perfect finishing details. We only use the finest materials to achieve luxurious comfort and fit. All of our bespoke garments are tailored using established sartorial traditions with patterns designed to flow with the natural contours of the body. 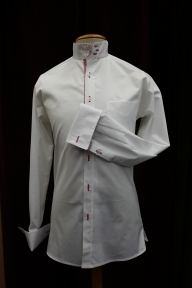 At City Tailors all of our bespoke shirts are made by hand. You may wonder why a bespoke shirt but the difference in fit, fabric and the way it is made makes a bespoke shirt a perfect shirt. The process begins with our shirt makers taking over a dozen upper body measurements. The finished shirt will match the precise contours of your shoulders, your preference for cuffs and collars as well as the way you wear your watch. There is so much involved in the production of a bespoke shirt that the whole process takes between 4-5 weeks – this process is quicker should you wish to use our bespoke service. We produce the suit that every sartorial connoisseur dreams of! A City Tailor suit is 100% hand-made using a full floating canvas, exquisitely finished, traditionally constructed and represents the very best in bespoke tailoring. The full floating canvas suit utilises a layer of horsehair canvas between the fabric layers, enabling the suit to take on the body shape contours of the wearer, improving the aesthetics and comfort of the suit over time. 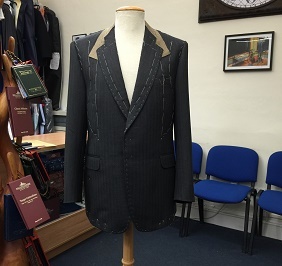 The process of creating a bespoke suit is around 8-10 weeks from your first consultation and will involve several fittings to ensure the perfect fit. We would love you to experience the detailing, comfort, and style of our garments. Craftsmanship is evident in all of our suits, jackets and shirts. You will not find such craftsmanship at this price point at any other tailor. In order to achieve optimal comfort and fit, only natural, soft, supple and lightweight materials are used. After the initial consultation to discuss your requirements we will take very detailed measurements. The best suit styles and features will then be appropriated for your body type and preferences and our Master Tailor will get to work. At the first fitting you will try on a lightly stitched version of your suit known as the ‘baste’. During this first fitting you will have the opportunity to have an in-depth conversation with your designated Master Tailor. Your suit will be pinned and tweaked accordingly after which it will be taken apart, re-cut and partially made up for the 2nd fitting. At your 2nd fitting we will carry out further pinning and tweaks before making the necessary adjustments to prepare your suit for the 3rd and final fitting. 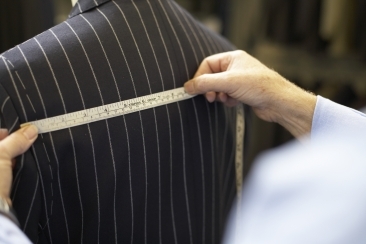 If at your 3rd fitting your suit fits perfectly then you will be able to take it away – if more adjustments are required we will arrange for further adjustments and a further fitting. Remember – we don’t stop until we have achieved perfection! We will adjust your paper pattern to update your customer profile, ready for any future purchases.